Following our announcement made last week, it’s time for our Trivia Challenge (or contest if we’re less threatening about it)! Today is the seventh and final day so let’s get things started. Review the rules below and take a gander at the day’s question. Good luck fanterns! Trivia Questions will be posted at 11 am Eastern, every day for a week starting 1/7/2019. Trivia Questions will only be posted ONCE at that time and only that time. To enter, solve the question by responding with your answer on whatever platform you see it on (Twitter, The GLCMB, etc.). Correct answers are entered into the Grand Prize drawing, announced on the following Monday, 1/14/2019. Correct answers to the Trivia Questions will be posted at 11 pm Eastern, that same day. You have until then to enter. Grand Prize contenders will be selected randomly and we’ll ask for your contact information once you’ve been informed of your victory! The Grand Prize is a collection of Green Lantern related items of our choosing. 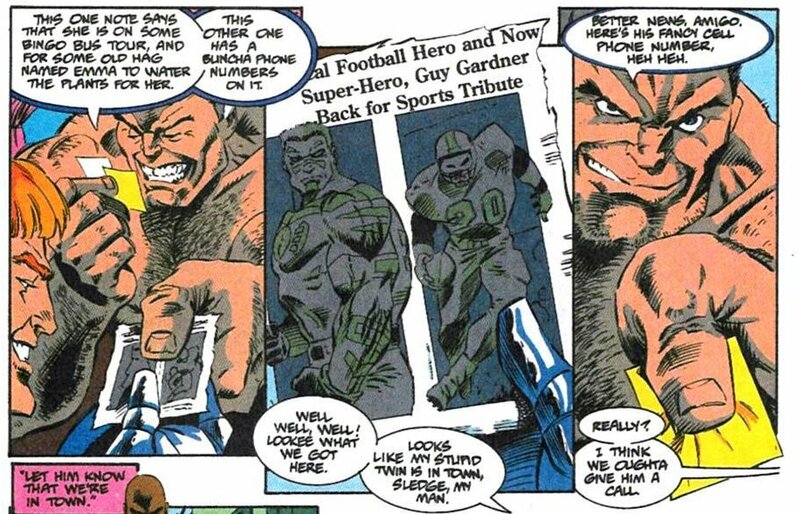 Before he was a Green Lantern, a cop or a gym teacher, Guy Gardner played football at what university?